1/43,BMW M3 E30 DE 1989, COLECCION CAMPEONES FRANCESES DE RALLY ALTAYA. 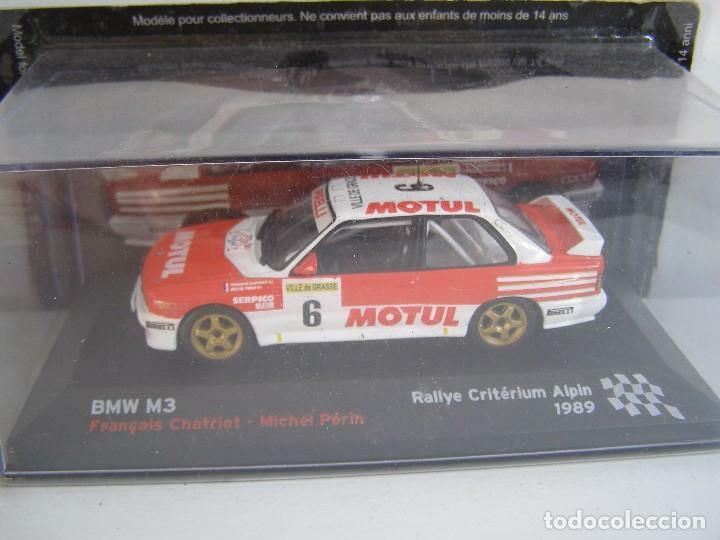 COCHE A ESCALA 1/43, MODELO BMW M3 E30 DE 1989,COLECCION CAMPEONES FRANCESES DE RALLY ALTAYA. 1/43, PORSCHE 911 SC DE 1979, COLECCION CAMPEONES FRANCESES DE RALLY ALTAYA. 1/43 SUBARU IMPREZA WRC 2002 , COLECCION CAMPEONES FRANCESES DE RALLY ALTAYA. OPEL MANTA 400 DEL AÑO 84, RALLY CATALUNYA, COLECCION CARLOS SAINZ, ALTAYA 1/43. Hora oficial TC: 06:14:27 TR: 140 ms.